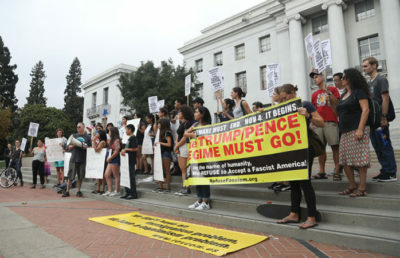 Although dozens of UC Berkeley students protected under the Deferred Action for Childhood Arrivals program have submitted their applications for renewal by the Oct. 5 deadline, uncertainty looms in the undocumented community about the future of the program. The Trump administration announced its intent to repeal DACA on Sept. 5. DACA, an immigration policy established by the Obama administration in 2012, allows undocumented people who entered the United States as minors to live, work and study legally in the country. With the announcement of the repeal, recipients of DACA, whose permits are set to expire between the announced rescission of the program and March 5, 2018, were given until Oct. 5 to file for renewal. Meng So, director of the UC Berkeley Undocumented Student Program, said in an email that the campus program has helped about 60 students with DACA renewals since the repeal was announced, with all application expenses covered. At UC Berkeley, about 400 undocumented students are recipients of DACA, and of the approximately 4,000 undocumented students in the entire UC system, a “substantial number” benefit from DACA, according to UC spokesperson Stephanie Beechem. The East Bay Sanctuary Covenant assisted roughly 80 to 85 people with the renewal of their permits over the past month, Akimoto said. According to Akimoto, many of the covenant’s clientele are students at local colleges and universities — and a few of them are UC Berkeley students. A letter sent to the UC community Sept. 12 by UC President Janet Napolitano and all 10 UC chancellors urged eligible DACA recipients to file for the two-year renewal. 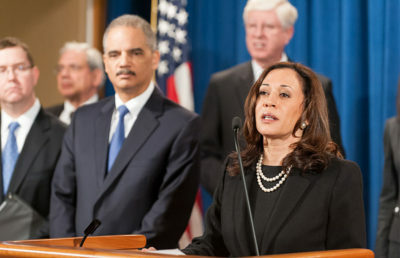 The letter also affirmed the UC’s intent to continue offering in-state tuition to undocumented California residents, as well as eligibility for financial assistance and loans, legal services and campus-based student service centers. Arturo Fernandez, an undocumented campus doctoral student, said in an email that he believes the Oct. 5 deadline did not grant undocumented people enough time to “get their house in order.” Fernandez estimated that starting March 6, 2018, about 1,400 DACA recipients will lose their DACA status and work authorizations every day. Salma Mayorquin, an undocumented campus senior and DACA recipient, said she believes the future of DACA is “unstable.” Anissa Nishioka/File. Although Fernandez said he felt the deadline should be pushed back, he commended the “tremendous response” he has seen among community organizations in light of the DACA repeal and the range of resources they have offered undocumented students. 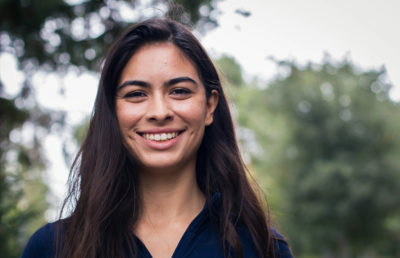 Salma Mayorquin, an undocumented campus senior and DACA recipient, said in an email that she visited the East Bay Community Law Center’s office hours on campus to get assistance with her renewal application. According to Mayorquin, the center filled out the application for her and paid the $495 fee, which she said allowed her to continue focusing on school without worrying about payment or making mistakes. Mayorquin added that she believes the future of DACA is “unstable” and that the “rug has been pulled from under” the undocumented community. According to Mayorquin, serious immigration reform will be necessary in the future to turn DACA into a permanent solution. 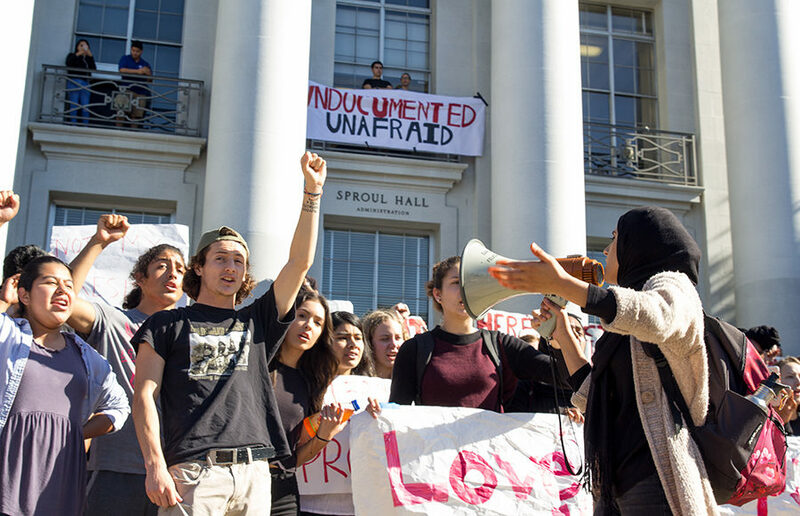 “What I can say is that no matter what the future holds, we as a community will stand together, fight for each other, and protect one another,” said Kris Ordonez, peer academic counselor at the UC Berkeley Undocumented Student Program, in an email. Contact Cade Johnson at [email protected] and follow him on Twitter at @cadejohnson98.